Or so my headline would read! 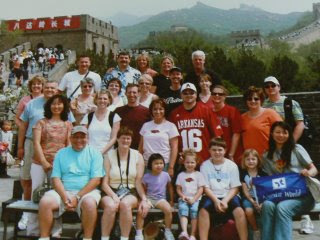 We climbed the Great Wall of China one year ago today. I remember it was amazingly cool (Hallelujah after every other sweltering moment)! It was neat to experience such a grand piece of history. 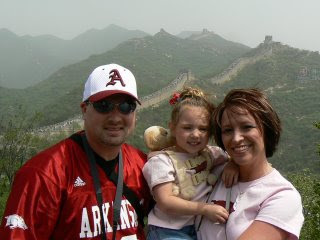 I remember it was steep, the air seemed thinnner, and every Chinese person there wanted to take a picture with Macy! 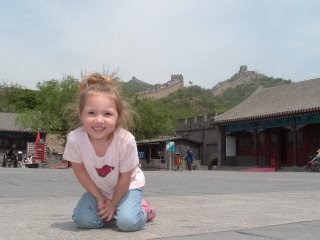 What a beautiful blog :o) I found you through your mom's blog!!! Have a very Happy Mother's Day!